Given I have been a couple of times to Mexico I am always very skeptical when it comes to Mexican food but I am also always happy to be positively surprised. This was one of these nights where you would be positively surprised. 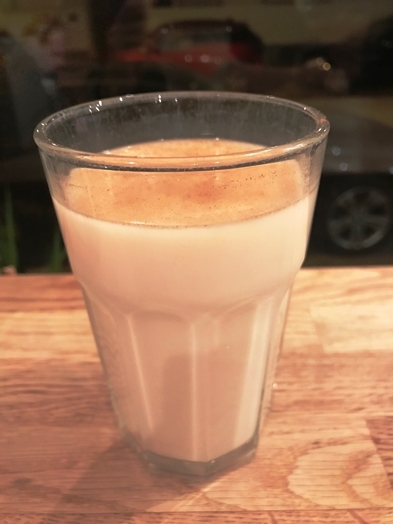 Upon walking in I spotted that they had “Agua de Horchata” (EUR 2.50) which is something you don’t really find in Europe (or at least I haven’t spotted it yet). And it was super close to the real thing. 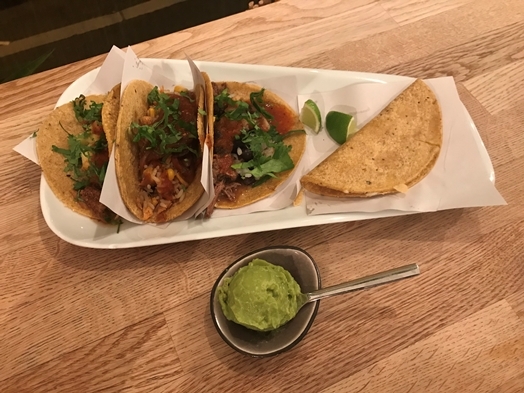 As a main, I went for a selection of different tacos like the “Taco al Pastor (pork from the skewer with a Mexican marinade, pineapple, onions, fresh cilantro)” (EUR 2.70), the “Taco Birria (pulled beef cooked in chili broth with beans, onions and cilantro)” (EUR 2.70) and the “Taco Pollo Ranchero (pulled chicken with chili, bell pepper, onions and corn rice)” (EUR 2.70) plus a regular “Quesadilla” (EUR 2.70). I haven’t had such good Mexican food in a while and it is definitely among the best Mexican places I have so far experienced in Europe. Really close to the original and just overall mouth-watering. Considering that you actually pay only EUR 2.70 for a taco and you are stuffed with four or five of them (if you are a big eater), then this is really a bargain. The EUR 0.80 for the “Guacamole” was the thing I did not entirely understand though. 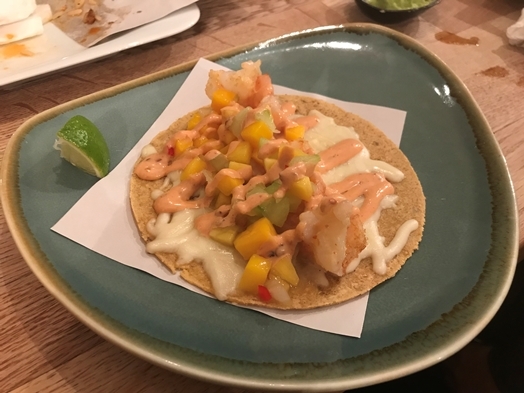 The “Taco Camaron (grilled prawns in a quesadilla with mango and chipotle salsa)” (EUR 3.20) was the crowning ending to the dinner. Delicious. Lovely. Just very yummy! Frankly, if it wasn’t that far, I’d return to get some real Mexican flavour once in a while. The place is rather tiny and it seemed always full as I had passed by a couple of times before actually entering it. And I must say, it is worth going! Not sure if you can book a table in advance, but if you can, call! Else, I get why this place is No. 1 in Freiburg im Breisgau on TripAdvisor!